Trendy Workout Pants Just $19.99! Down From $50! Shipped! 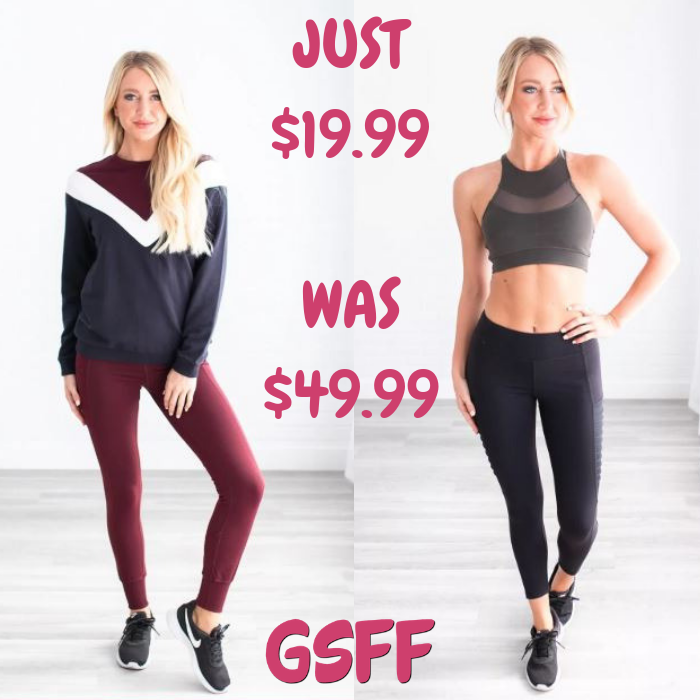 You are here: Home / Great Deals / Trendy Workout Pants Just $19.99! Down From $50! Shipped! Until December 1 only! Jane has this Trendy Workout Pants on sale for just $19.99 down from $49.99 PLUS FREE shipping! Vamp up your closet this season with these new Trendy Workout Pants! These full-length leggings are super stretchy and soft! Made from a great poly-spandex blend, the elastic waist and tight fit they are perfect for helping you accomplish all of your fitness goals this season!